I’ve heard from multiple people lately that registrations are down for the upcoming Baltimore Running Festival, possibly due to the unrest that occurred in the city this spring. The race organizers have made a major push over the last few days and are encouraging runners to share their Bmore pride and tell neighbors and friends about the race. Well, as a very proud Baltimorean and first time runner of the 5k, I wanted to give you a few reasons to sign up for one of the races that are part of this awesome event! Something for everyone – the festival includes a marathon, half marathon, team relay (5.9-7.1 miles), 5k and kid’s fun run. And everyone – from marathoners to kiddos – gets an Under Armour shirt and a medal. 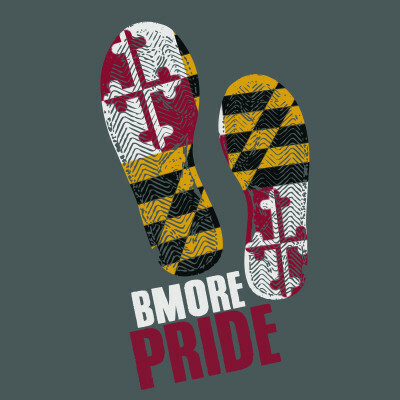 Great gear – If your free race t-shirt isn’t enough, you can also order this baller Bmore Pride t-shirt for just $20 and the proceeds go to local charities. I just ordered mine and can’t wait to rock it around town. Support your friends – back in 2009, a friend of mine ran the Baltimore marathon and we had an amazing time cheering her on and looking out for her at various spots on the course. The way the events are timed allows 5k runners to finish and then go back to support the runners of longer races still on the course. I love the camaraderie of race day and cheering on the talented runners! And a girl from my honor’s frat in college actually won the women’s division of the marathon last year which is crazy! She is incredible! Give to charity – a lot of runners use the race as a way to raise funds for charity. My friend Jamie is running the relay and raising money for the Cool Kids Campaign. Donate money to support Jamie’s team here and learn more about the organization that helps support pediatric cancer patients here. The race also supports a number of other charity groups. Explore a different side of Baltimore – the city is not defined by the events you saw on TV this past spring. 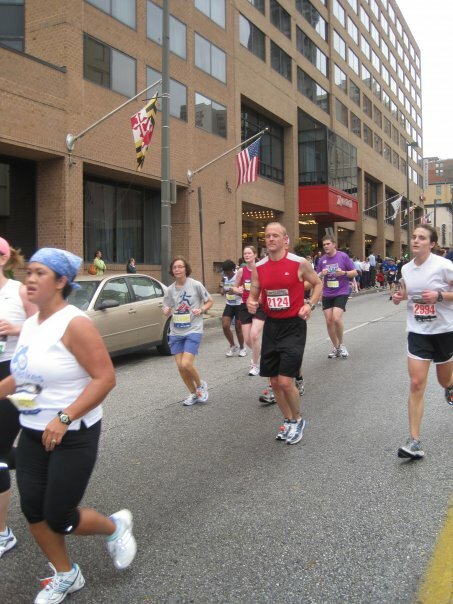 The race brings locals and visitors together for a weekend of fun activities and the marathon course takes you from the beautiful Inner Harbor through the city to the Maryland Zoo (so cool!!) and Druid Hill Park. I’ve run two races in Baltimore, the Baltimore Women’s Classic and the Ravens 5k and I have been super impressed by how supportive everyone was along the course. Running through residential areas meant people out on their stoops waving, smiling and cheering and providing an extra boost of encouragement to runners. I expect runners will be pleasantly surprised by the local support they’ll receive on race day. Other weekend events include a health and fitness expo and a kickoff event on Thursday the 15th at Power Plant Live with live music and drink specials. And if you’re coming into the city for the race and are looking for places to eat you can check out our restaurant recommendations!